Aptly named after the neighbourhood borough of Manhattan in NYC, famous for its diverse community and vibrant nightlife, East Village is a purveyor of classic American dining. 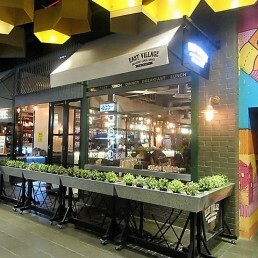 Located in the heart of Railway Lane (off Murray Street Mall) with an open kitchen and speak easy dining area. 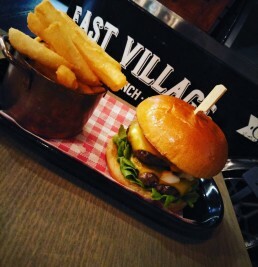 East Village offers a little slice of Manhattan right in the heart of Perth. Here they celebrate delicious New York style food…. The Reuben sandwich, pizzas, elegant cocktails and other NYC favourites for breakfast, lunch and dinner. All made daily from fresh local produce and cooked to the recipes from Fat Tony’s kitchen.